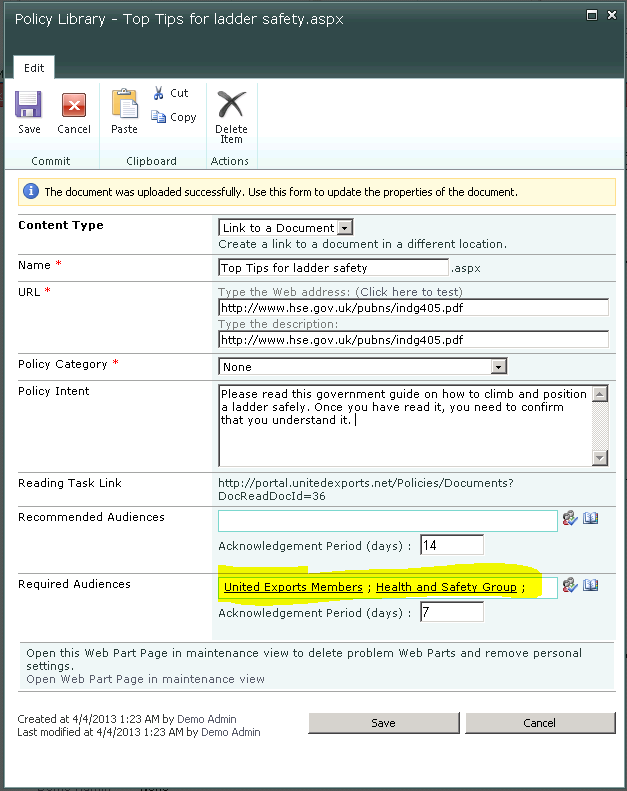 >> How to use a ‘Link to a document’ in place of a real document in SharePoint. 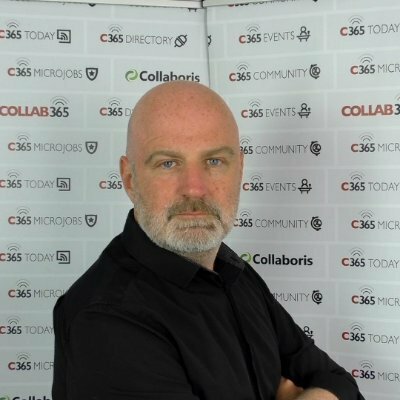 From time to time you may need to give the effect of storing documents in SharePoint, without them actually being stored in SharePoint document libraries. 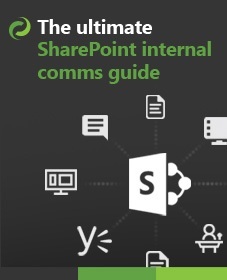 Maybe you have a raft of documents in external systems that you want to make available by SharePoint. 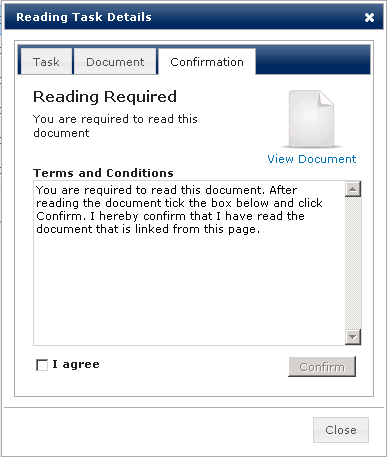 A document can be made available in SharePoint with a few easy steps using the ‘Link To a Document‘ content type. This post will first illustrate how this is set-up and secondly, how to distribute that ‘link’ with DocRead so that you can request that users read and confirm the document by a deadline. 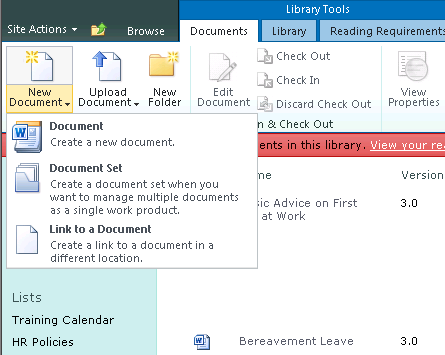 Navigate to the document library where you want to add the ‘Link to document’. From the Ribbon select ‘Library’ and choose ‘Library Settings’. Ensure ‘Allow management of content types’ is set to ‘Yes’. Select ‘Add from existing site content types’. Choose ‘Link to a Document’ from the list in the left and click ‘Add’. Then ‘Ok’. Now that we have done this (you will only need to do it once per library), we are able add ‘Links to a document’. So let’s try it! On ‘New Document’ select ‘Link to a document’. Give your document a name and a url. The url can be *anything* such as a url from an Internet/Intranet web page, a document in another document library, Youtube video, document in another system and so on. In fact, as long as it can be navigated to by the end-user it can be linked to and send out to a group of users with DocRead. On the ‘Edit Properties’ screen now is the time to tell DocRead which groups of people need to read it. You can achieve this by using the ‘Recommended Audiences‘ and ‘Required Audiences’ boxes. Simply choose some groups! Once the link is ‘Checked In’, ‘Published’ and ‘Approved’ (if workflow is enabled), DocRead will create ‘Reading Tasks’ to all of the people in the groups specified. (e.g ‘Health and Safety Group’ and ‘United Export Members’). 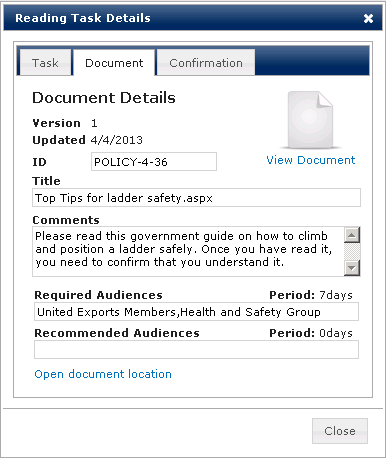 Each person will then be given a set number of days to confirm reading the ‘Top tips for ladder safety’ document before it becomes overdue. (in this case 7 days). 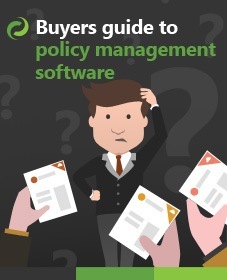 Users will receive an email notifying them that they are required to read the document. In addition to this, the DocRead web part is usually placed in a prominent place in SharePoint so that users can never avoid their required reading! 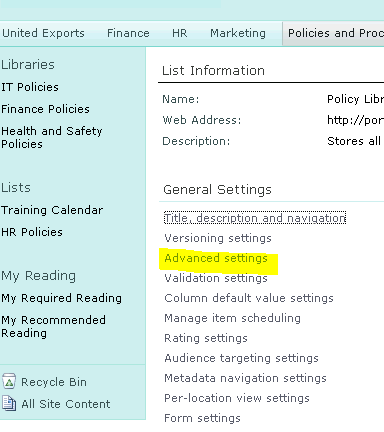 The screen below is an example of what the end user sees when they click on the new reading tasks. They can view information about the document (which is really a link), and also click ‘View Document’ to view it. So in this case, when they click ‘View Document’ a new browser window will be shown with the Ladder page on it. When the user clicks ‘View Document’ DocRead will not check if the user has access to the document (or that the Url resolves to a real document). For example, if the web site containing the document is ‘down’ then we will still allow them to confirm. (This can be negated in DocRead 2.0 where a quiz can be attached to the link to make sure the user can answer competency based questions). In this case, if they can’t view the document they wont be able to pass the test! When a user confirms a document DocRead stores the version of the document for compliance purposes. In this case it will be up to you to keep the version of the document link the same as actual version of the real document. Otherwise, it will always look like the user read v1.0 of a document. (There is also a possibility that these two can be synchronised if you have a developers to help). Apart from that, I am sure you will agree – this is a really neat way to increase the number and types of documents that can be issued and tracked with DocRead. Why not take a more in-depth look at DocRead by taking the tour ? Thanks for this! Is there a way to use a URL that is not a standard HTTP or HTTPS? I’m hoping to link to files within our shared drives or internal network folders but I’m only allowed to put internet addresses into the link URL. I was able to connect to a network drive by following the instructions I found at two different websites. They say about the same things but word it a little differently. My available options on the ribbon weren’t the same but by using both sets of instruction, I was able to get it to work. The key is to make sure to add the text “file://” (without the quotes) before the actual network path you are linking to (this will make more sense if you read the instructions on each website. You can’t do it unfortunately, however you maybe able to to this with a redirect or a url shortening service? So you paste in a HTTP link which then redirects to a “file:///D:/yourfile”..
I’m having the same problem Sreya. You could detail more the solution? Is it possible to add a custom thumbnail of the linked document so that if the user searches for it, they can see what it looks like in preview mode without leaving sharepoint search page? Thanks Mark. I have a bunch of files in a folder on a SharePoint site. I have moved the files, and added a ‘link to a document’ as you have outlined, naming the link exactly the same as the document name that’s been moved. My problem is that many of the documents are Word, with links to other docs that have been moved. When I click on the link in Word, Word tells me that it can’t open the link as the item could not be found. I think it’s because the url of the ‘link to a document’ has .aspx in the URL, so despite the file name being correct, it ends with .aspx, rather than .docx (I have tried naming the link to a shortcut with a .doxc). Do you know of a work around? I have trawled the web with no joy. i have qeustion can i use my own video from my pc and share to sharepoint with this method ? It still doesnt work. Can you help me with that? How can I contact you?